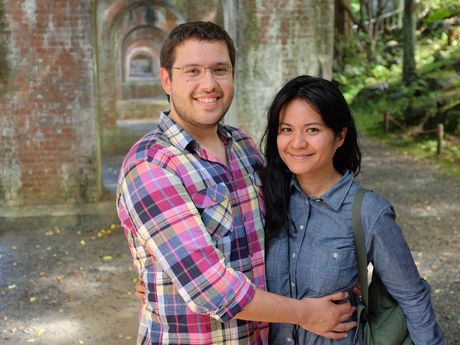 Gustavo and Diana at Okazaki Shrine in Kyoto. My wife and I thoroughly enjoyed our photo tour with Paul. 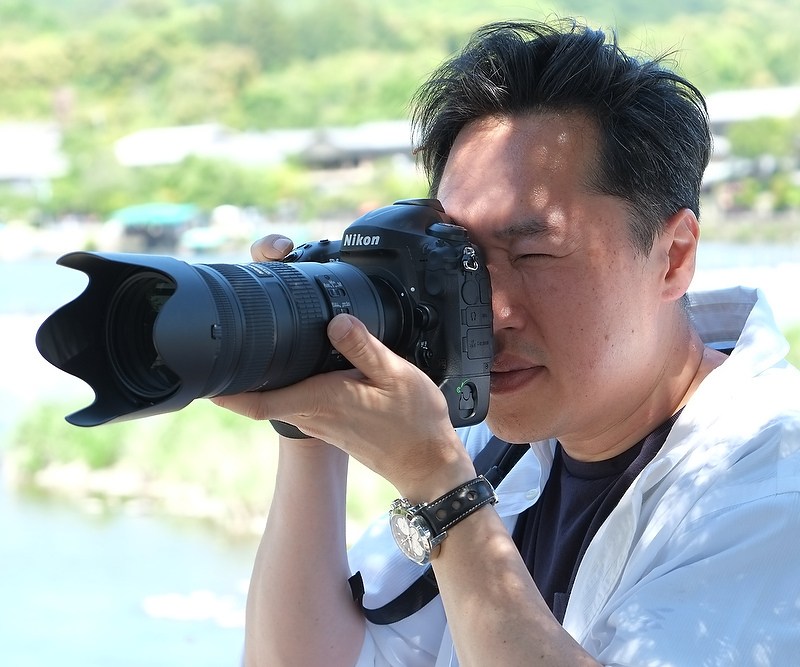 He is a fantastic photographer who helped create wonderful photo memories of our trip and knows Kyoto so well that he was able to take us to places that tourists don't often read about in guide books. Paul is a consummate professional and was always timely with his communications, thorough in his advice and prompt in carrying out his work. His positive energy and attitude made it easy to work with from the minute we met. Paul's personable nature is a delight to be around and his knowledge of the history and culture of Japan just made us enjoy the experience all the more. 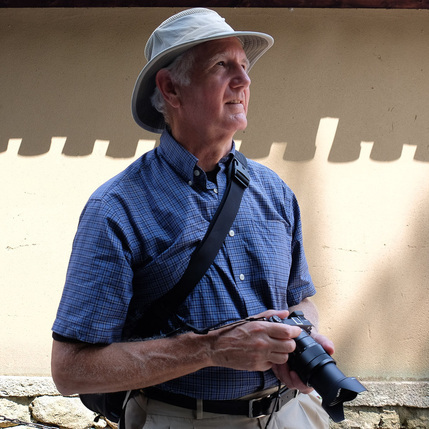 As we walked the beautiful gardens and temples on his tour, hours flew by as my wife and I laughed at his anecdotes while having great pictures taken that now proudly decorate our home. If you're thinking of hiring Paul, do it. You will absolutely enjoy the experience and have great photos and memories to go along with your trip. I spent a full day with Paul, visiting shrines & temples, learning about Japan, and talking. He tailored the day to me. I had already seen the more populous parts of Kyoto so we visited the others: places with few tourists but lots of beauty. While we photographed, he told me stories about the places we were seeing. I've seldom learned so much about a city (and a country) in as short a time. I came away with both photos and insights. I appreciated his knowledge, his flexibility, and his great conversation skills. Well done! I enjoyed every minute. Jim at Daitokuji Temple in Kyoto. Gilbert and Diane at Ponto Cho in Kyoto. I was on Google trying to find a photographer in Kyoto who could help my wife and I have some photos taken which we would include in our wedding album. After looking at a few other companies which were rather out of my budget, I decided to contact Paul. And I am so glad I did! Paul responded to my emails very quickly and saved me from myself by suggesting a better alternative itinerary than the one I suggested to him. On the day of the shoot, he was engaging, professional, and most importantly, humorous! We had a fun time and learned quite a bit about the culture and history of the two places we were photographed in, killing two birds with one stone. In regards to his photography skills, I'm sure looking at the pictures in his gallery would tell you that Paul is an excellent photographer. Before we parted ways, Paul was kind enough to show us photographs of his wife. It was obvious that the love between them was still strong despite the many years of marriage. I hope my wife and I will have something like that 10-20 years down the road. We had an absolute blast with Paul on our photo lesson tour through Kyoto. As an amateur photographer, I was looking for tips on the best places to shoot in Kyoto when I came across Paul’s site, and I am so glad I did! I immediately emailed Paul to inquire about his services and within a day he responded and the tour was booked. I loved getting to know him on Skype beforehand and being able to discuss our plans with him. He gave us excellent suggestions on transportation from Osaka to Kyoto and was very helpful with planning everything! The tour itself was an unforgettable experience. My boyfriend and I both love taking photos and discovering unique parts of the cities we travel to. Paul was able to show us some of the popular sites as well as some of the off the beaten path areas which were truly enjoyable! He had so many wonderful stories and anecdotes to tell and we learned a lot about Kyoto and all its treasures! Paul is also an excellent teacher. He gave us both a lot to think about while composing and steadying the camera. He was knowledgeable, patient, and always ready with friendly reminders to help us create more interesting shots! We both highly recommend a tour with Paul! 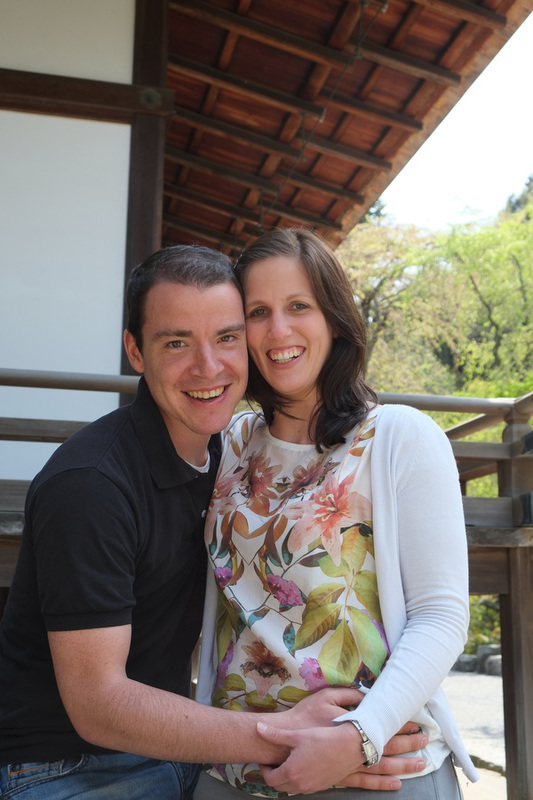 It is by far one of the best things we did in Kyoto and we came away with some excellent shots taken by us as well as some priceless ones Paul took of us! Maija at Otani Honbyo Temple in Kyoto. Sarah and Eric at Ponto-cho in Kyoto. I can't describe how lucky I am to have met Paul in Kyoto. He took wonderful pictures of us during our stay. He accommodated some of my crazy requests and he always had a Plan B just in case Plan A failed. All pictures were great without the need for computer magic. 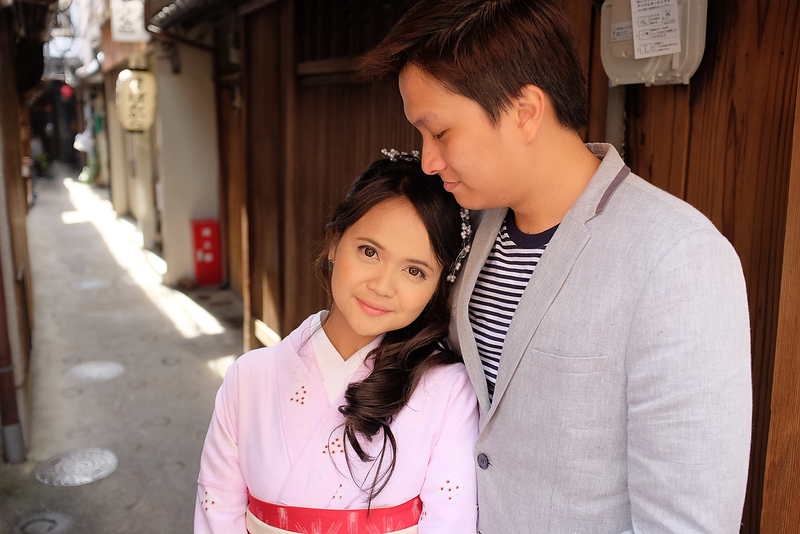 My fiance and I decided to have a photoshoot with him once again when we come back in Kyoto next April. Paul Crouse is a terrific companion and guide through the most photographable parts of a one of the most photographable cities in the world. He has a deep knowledge of the city and its history and a wonderful eye for the unexpected or unusual shot. Along the way he will keep you entertained with fascinating insights into daily life in Kyoto and Japan. I couldn't recommend him more highly. Lara at Korin-in Temple at Daitokuji in Kyoto. Laetitia and Vincenzo at Ginkakuji Temple in Kyoto. 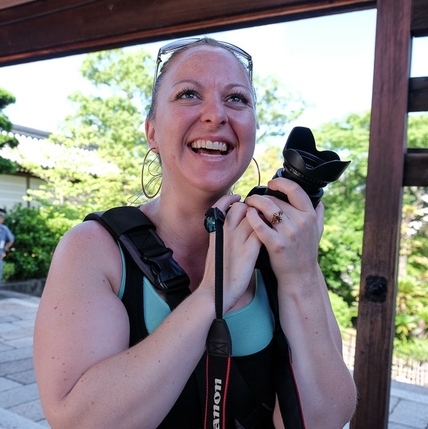 Paul is a fantastic photographer and an excellent tour guide, he really made us appreciate the beauty of Kyoto. 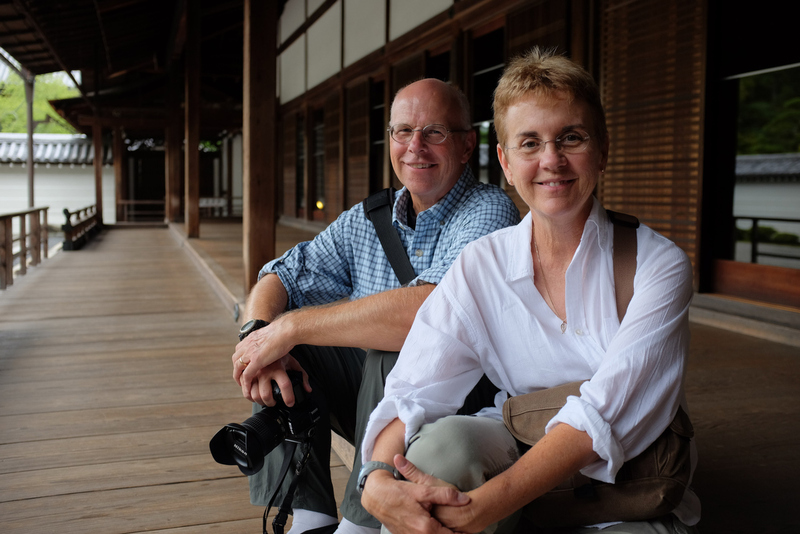 My wife and I spent a very pleasant day with Paul visiting some of the most impressive sites of Kyoto while receiving useful tips & tricks on how to improve our pictures. Paul is very professional and well organised, while being friendly and playful in his way of introducing the sites we were visiting or answering our questions about photography. Time flew by in his company, as we discovered some unique hidden gems in Kyoto. If you are looking to discover Kyoto’s hidden sites, while learning some useful tips to take better pictures, Paul is the right person for you. Working with Paul was a blast. He knows the Kyoto area very well and took us to amazing locations that we will remember for a long time. He had great ideas on many different types of scenery and locations, and we will definitely enjoy looking at these pictures and showing them to our family and friends for years to come. Paul is also a great guide for Kyoto and I would highly recommend spending the whole day with him. 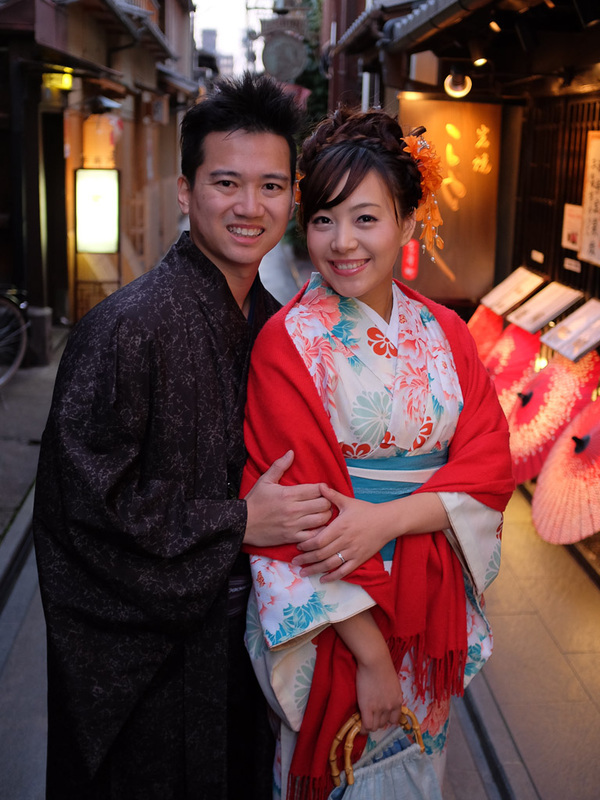 When we come back to Kyoto we will definitely try to book another photo tour with him ! 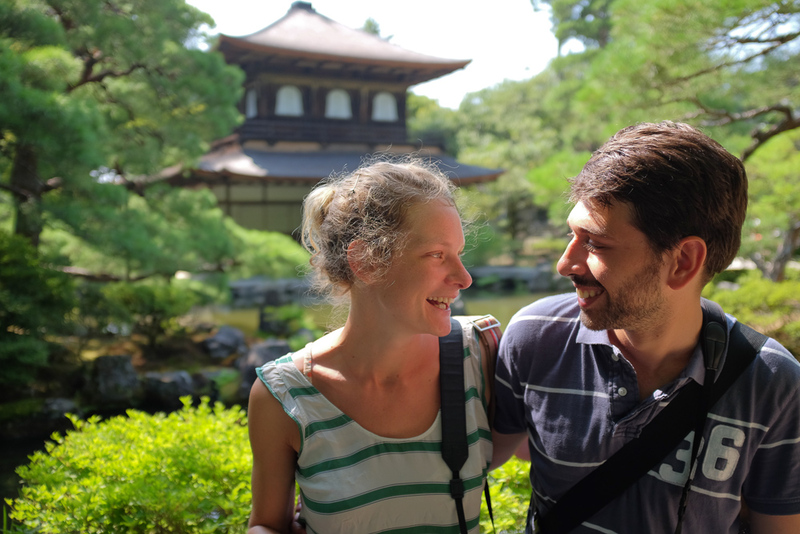 Claire and Francois at Yasaka Shrine in Kyoto. 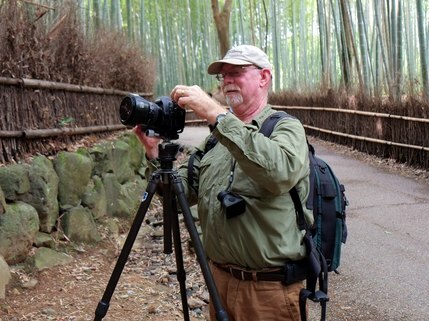 Dennis photographing in the Bamboo Forest in Arashiyama, Kyoto. Hiring Paul to guide me around Kyoto was one of the smarter moves I made in Japan. He is punctual and knows the Kyoto area quite well. You not only are taken to great locations to photograph but he'll give you a short history lesson if you'd like, and I found that very interesting. Knowing how to get around in the city can be a challenge if you're not familiar with the different transportation, but he knows all the 'ins and outs' of that. And he knows good moderately priced restaurants to eat in and some out of the way places to photograph, which was a real plus. I had no idea I would come away with so many great photos. I just had a really fun day with Paul. As a professional photographer, and tour leader myself, I can highly recommend his services. 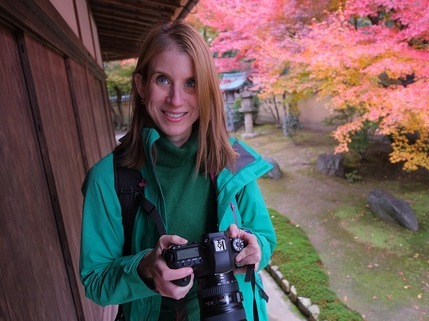 Daniel and I joined Paul on a half day photo tour of Kyoto in October 2013. Paul was a true professional. From the initial planning stages right through to the end of the tour, he handled everything with care and tried his best always to accommodate our needs and answer our questions. We enjoyed the shrines we visited and the insight into Japanese history and culture. Daniel, who is a beginner photographer, benefited from Paul's instruction, picking up new techniques that he used for the rest of our stay in Japan. Our tour with Paul was one of the highlights of our trip to Japan. 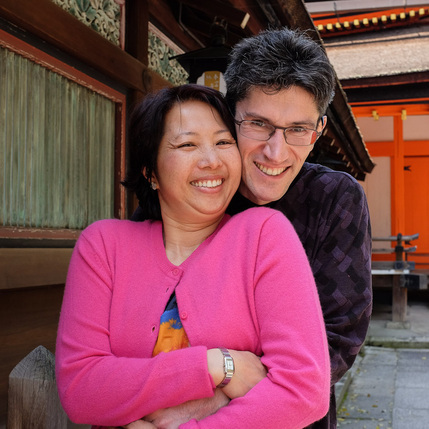 If you are considering booking a tour in Kyoto, I'd personally recommend that you choose Paul as your guide for a friendly, informative and personalized experience. Daniel and Carol at under the aquaduct at Nanzenji in Kyoto. Katya and Dima at Kyoto Station. The best feelings and emotions of today will remain alive in 10, 20, 50 years - just do not forget to refresh them! My husband and I are exceptionaly thankful to Paul Crouse. He is the one who captured the most intimate looks and heartful emotions of our honeymoon with his camera. Our smiles and poses after his words: "Now think about your handsome husband/ beautiful wife" are so natural that we did not even notice the time of photosession was up. My wife and I spent a very pleasurable morning on a photo tour with Paul. 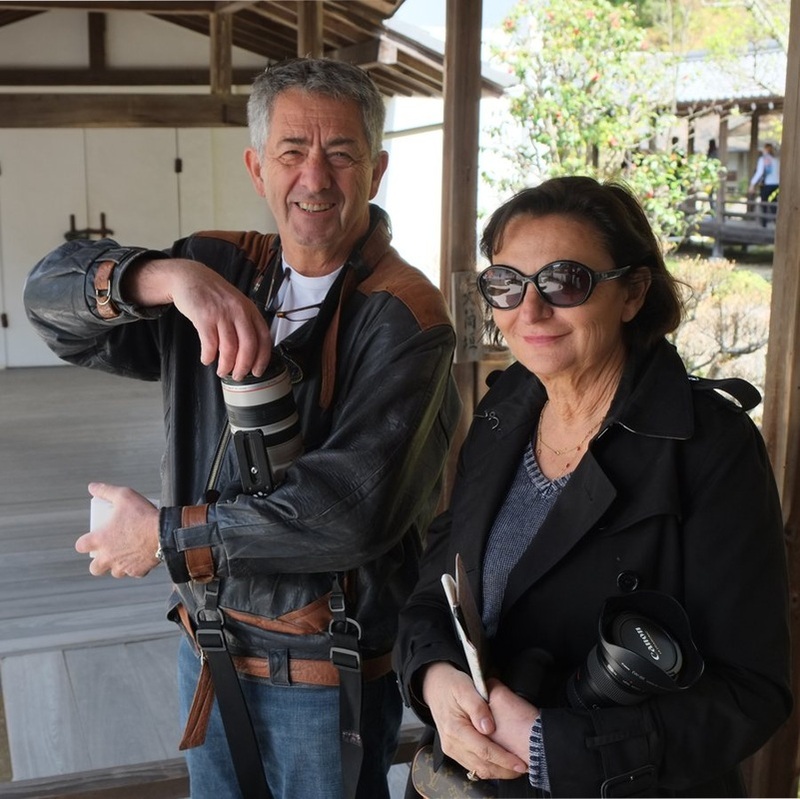 He was a gracious, knowledgeable and enthusiastic guide who not only took us to wonderful sites to photograph but also provided fascinating information and great tips on what see and do in Kyoto. Michael and Darcy at Nanzenji Temple in Kyoto. Andrea at Kiyomizu Dera Temple in Kyoto. Originally from Louisiana, and living in South Korea, this was our first time to Kyoto. We booked a photo tour with Paul to capture a few "non-touristy" locations. The tour was the perfect balance of history and great locations for photos. Paul was patient in allowing time to compose photos, and gave helpful tips to improve photos. Thanks, Paul, for a wonderful tour of Kyoto! I had arranged a few days in Kyoto for my wife and my parents. It was the first trip to Kyoto for all of us, there are so many sites to see and shoot, and Paul helped us arrange a very nice itinerary. Paul took the time to spend time with each of us during our tour to provide tailored, individual advice, as each of us are at different levels in terms of photography. He is a believer in getting the shot right in camera and always looking for the good shot. I found his advice on the technical and compositional aspects of shooting very precise. I found his knowledge and insights on Kyoto very enjoyable. My family and I enjoyed our time with Paul very much and would definitely recommend him as a way of “seeing” and Kyoto on many levels. Andy Lee in Arashiyama, Kyoto. Andre and Teresa at Nanzenji Temple in Kyoto. A very educative and entertaining introduction to Kyoto (it was our first day) all while trying to capture (mission quasi-impossible) the particular beauty of this city. Paul is a great and patient (photo) guide with a perfect balance between the guiding and educating (technique) – pointing out the most photogenic spots without hand-holding and interfering. Time flew by quickly without a dull moment or regret. Strongly recommend to anybody who wants to discover Kyoto and take unforgettable pictures. Since this was our first time in Kyoto and I am always keen about improving my photography skills, we hired Paul from his website to guide us through the town and teach us how to get some nice pictures. We started very punctually with a small photography lesson containing some fundamental, but important basics. As a teacher, he tries successfully to make things really memorable, for example by using funny rhymes. He was very flexible about where to go and what to see. We chose to go to Arashiyama. He showed us how to get there the best way, using different types of transportation in Kyoto. During the next few of hours, he showed us some really nice locations for photography, and he was always trying to help us improve the quality of our pictures. After a pleasant day in Kyoto with Paul, we had a lot of good photographs from some nice places in Kyoto, we improved our technique, and we learned interesting facts about living in Japan which you will not find in any guide book. 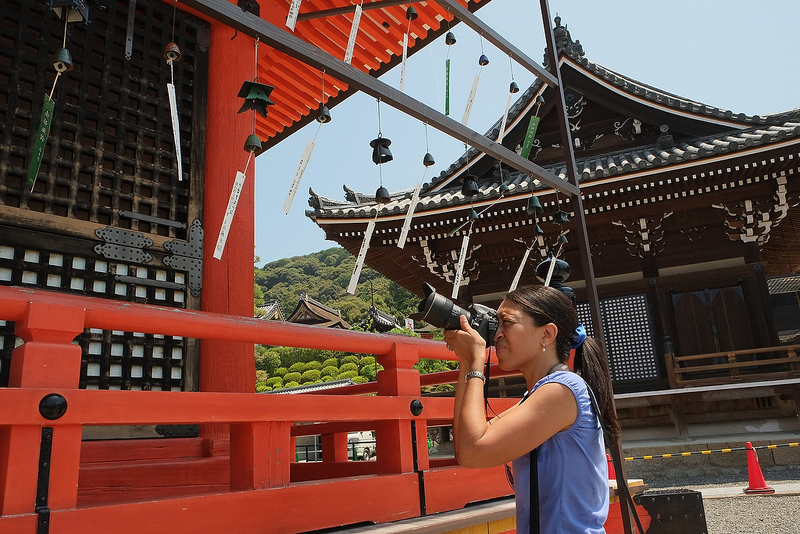 Even if you are not interested in photography, you can hire Paul to learn a lot about Kyoto and Japanese life in general. Simon and Melanie at Tenryuji Temple in Arashiyama, Kyoto. 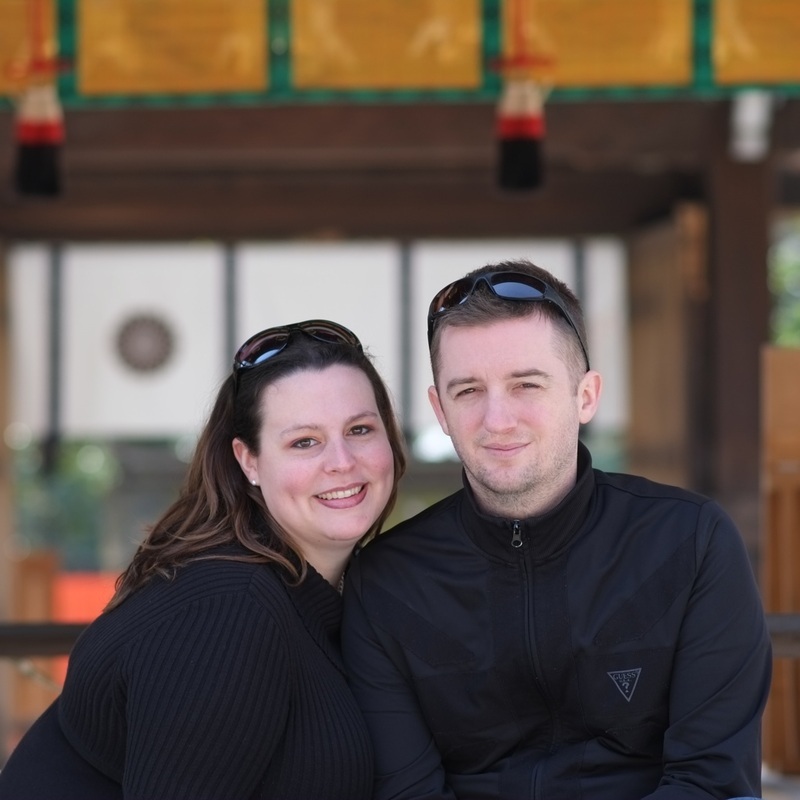 Emily and Brian at Kawai Shrine in Kyoto. 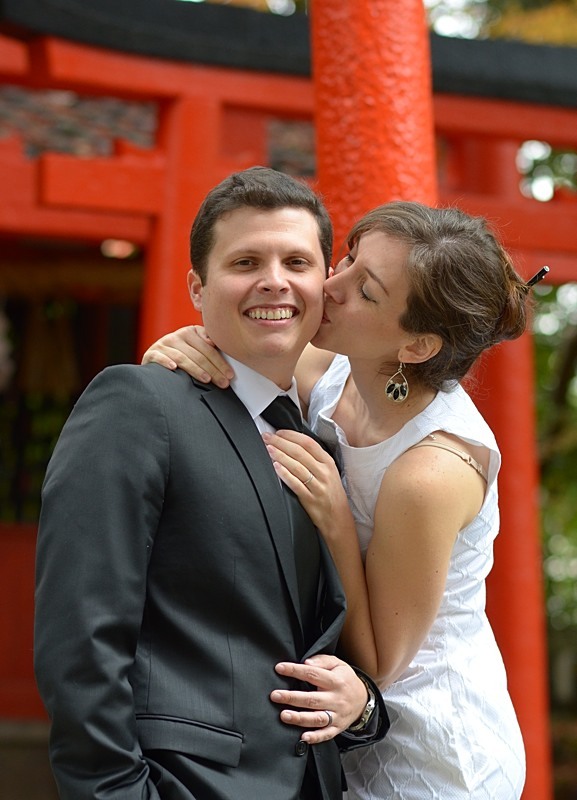 Originally from Canada, my fiance and I live in Hong Kong and were very excited about taking a trip to Japan. My future husband, although I'm a photographer, is against engagement photo shoots. However, he took the initiative, and asked Paul to take us on a photo-tour. This way, I got to get some pictures of the two of us (FINALLY) and he got to learn a little more about the Imperial Capital of Japan. Paul was wonderful! He took us to a few different places in Kyoto, that we never would have got to on our own. Paul was very knowledgeable about the different places, as only a true local could be. He was able to get some amazing pictures of the two of us, and even got my future husband to enjoy getting his picture taken... even if it took a little poking and prodding! As a photographer myself, I was able to appreciate his talent and his work. I was also reminded of how difficult it is to be in front of the camera, instead of behind.... and yet Paul made us both feel at ease. He was great to work with and a great tour guide to boot. I have photographs of my fiance and I all over the world, but these pictures will be treasured among the favorites!!! We have already recommended him to a couple friends, and would highly recommend him to anyone thinking about doing this. Thanks Paul. It was great to have met you and have you take us through Kyoto. We got so much more out of our visit because of you. You are a very patient person! So far, Kyoto is at the top of all of our lists for "Best Visit Yet!"